depending on the type of biomass and the shredding device used. We process offcuts, slabs and logs up to a diameter of 80 cm and – with the use of various screen sizes – we can produce a grain sizes of up to P100 (100 mm). 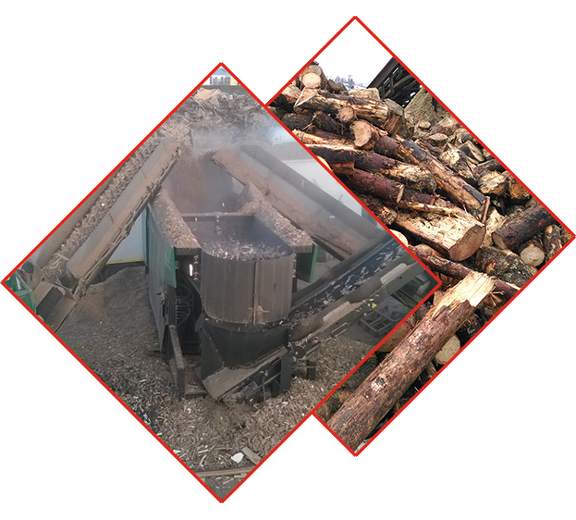 We shred and mince green waste, bark, old and recycled wood with the use of cantilever tools or with a twoshaft shredder. Additionally, employing our moving floor trucks, our logistics office in Sibiu can arrange all your biomass transports to the end customer.